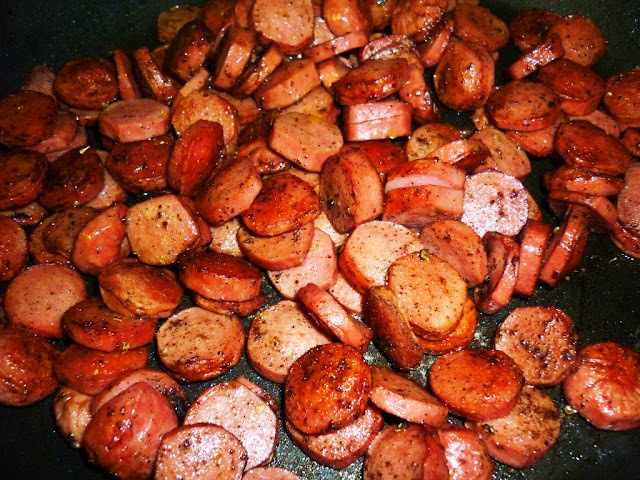 This Italian recipe demands sweet Italian sausage.But I have used chicken franks that is widely available. Again,this is my personal recipe and I must confess,a personal favorite too. A secret ingredient that I have added to bring THE REAL taste is hmm...Is the Bolognese spice mix.....did I really say that...! 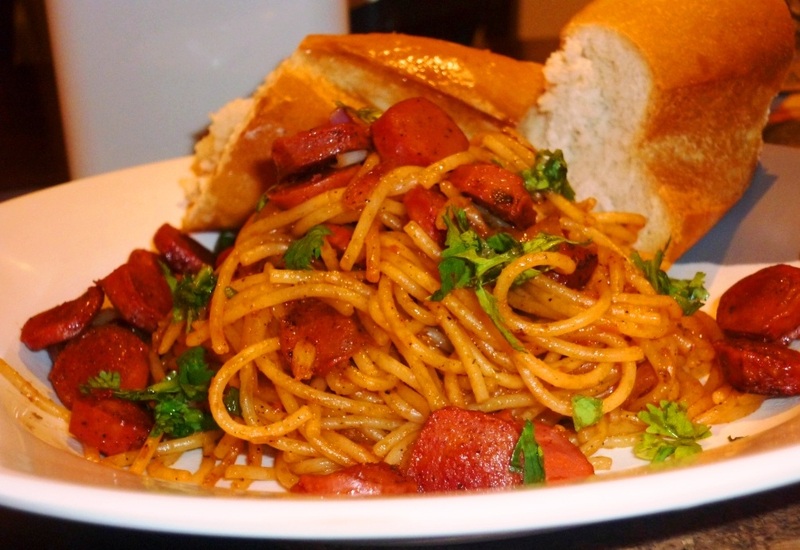 Serve this spicy spaghetti with Garlic bread. Cook spaghetti in salt water along with a pinch of Oregano.It should be done al dente. Marinate sausages with salt,pepper and a pinch of oregano.Saute this in olive oil until crispy. Now in a sauce pan,pour in olive oil,add crushed dry red chilies and garlic.After a minute saute in onion and add the cooked pasta. Mix well.Now add the tomato puree and some more oregano.When it is almost dry,add the sausages and bolognese spice mix.Add salt and pepper as needed. Lastly add some grated Parmesan cheese(very little to get everything blended).